Taiwanese manufacturer Asus has confirmed on its official forum that six of its devices (and their variants) will be receiving an update to Android 5.0 Lollipop next year. 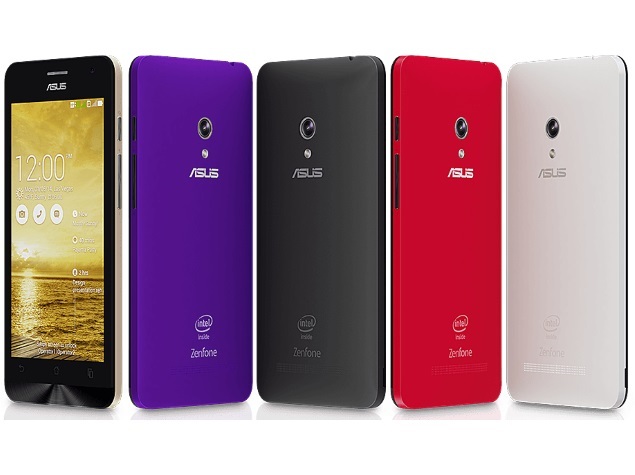 The list of devices scheduled to receive the Android 5.0 Lollipop includes the popular Asus ZenFone series of smartphones – ZenFone 4, ZenFone 5, and ZenFone 6 – alongside Padfone S and Padfone Infinity (second gen). According to the official listing (via a Taiwanese publication), the ZenFone 4 (A400CG/ A450CG), ZenFone 5 (A500CG/ A501CG), ZenFone 5 LTE (A500KL), ZenFone 6 (A600CG/ A601CG), and PadFone S (PF500KL) will be receiving the Android 5.0 Lollipop update starting April 2015. The refreshed Asus Padfone Infinity (A86), on the other hand, will receive the update in June. Asus, starting early October, rolled out the Android 4.4 KitKat OS update for the ZenFone 4 A400CG, ZenFone 5 (A501CG) and ZenFone 6 (A601CG) handsets worldwide. Asus now joins the likes of Motorola, Sony and HTC with this announcement, who have also confirmed the update for a select few devices. Being the Nexus manufacturer, Motorola was the first to confirm the update, followed by Sony announcing the update for the entire Xperia Z series. Some of the notable features of the Android 5.0 Lollipop version include a cleaner, flatter design with a more fluid interface and animations. There is a new ‘Quick settings’ menu that has been revamped, and includes new controls like flashlight, hotspot, cast screen controls and more. The lock screen now displays richer notifications, and users can view and respond to messages directly from the lock screen. Android 5.0 Lollipop also comes with an opt-in kill switch dubbed ‘Factory Reset Protection’, which will allow users to wipe out the device’s data on will. There is the new Messenger app; a guest user mode with custom options for access; and screen pinning that lets users fix in place the screen that’s displayed without allowing guests to go further. Google has also added a new battery saver feature to Android 5.0 Lollipop, claiming to extend device battery life by up to 90 minutes.